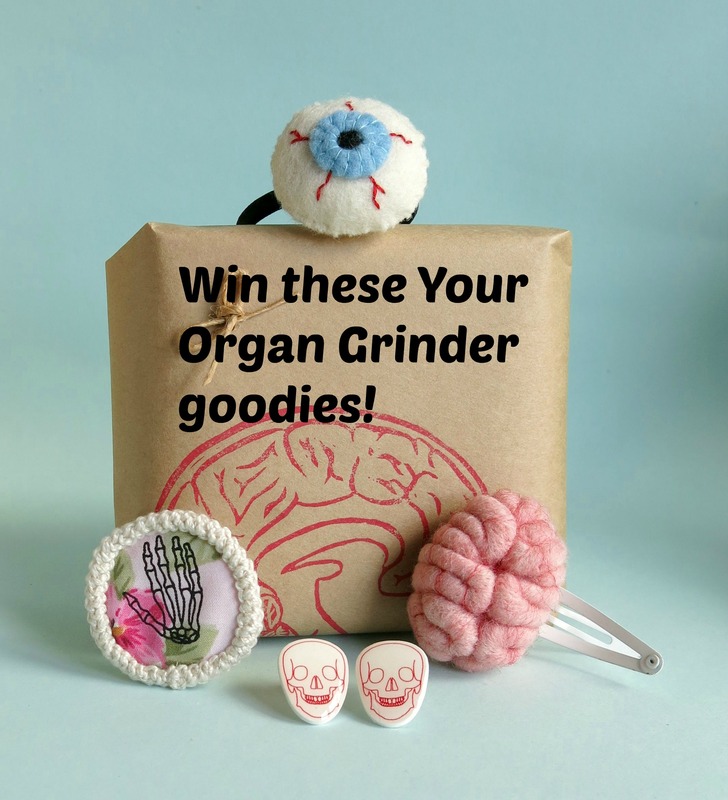 Want to win this little Your Organ Grinder pack? Head to my contact page and fill in your details. Make sure you tick the box to join my mailing list. What to expect in Anat-o-mail? I’d like for Anat-O-Mail to showcase bits of anatomy each time it goes out, Expect news on anatomy exhibitions, what is going with Your Organ Grinder, awesome links and other anatomy related goodness. Better yet, each time Anat-O-Mail goes out there will be a new prize and a winner chosen from the mailing list! You’ll get about 10 chances to win every year! I hope to see you on my mailing list and get to share with you the things I am passionate about. This entry was posted in Your Organ Grinder and tagged anatomy, brain hair clip, competition, prize, win, your organ grinder on March 13, 2014 by yourorgangrinder.